Color is a powerful tool of many design fields. 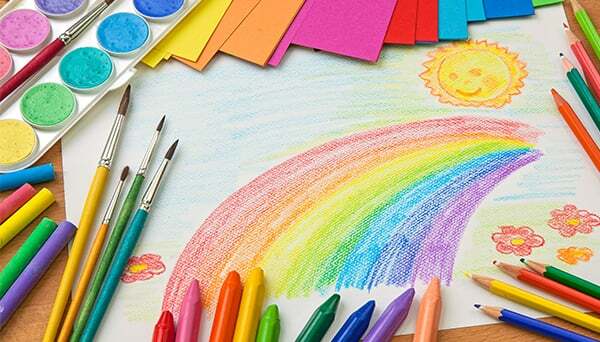 Beautiful color palette may attract visitors to the website, and vice versa – a poorly planned palette may ruin the impression and even kill website conversions. Experienced web designers know how to use a color wheel properly and how to mix colors well to achieve best result for the website design. Such knowledge is essential for their work and there are many tools that help them to achieve the best results. 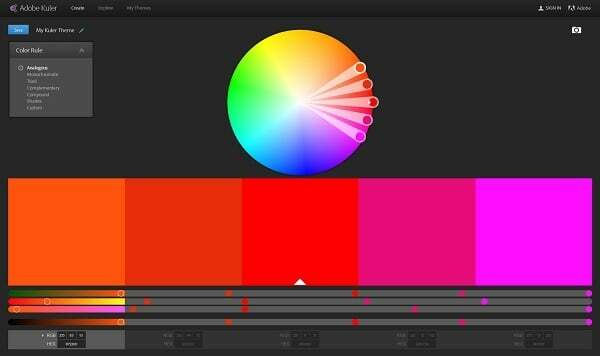 Color schemer and color palette generator are the best tools to help web designers on that. 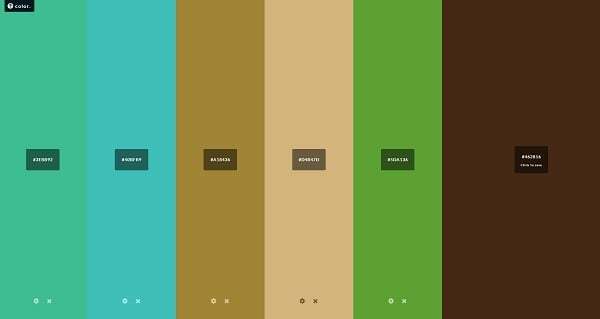 There are plenty of color scheme and color palette generators on the web. 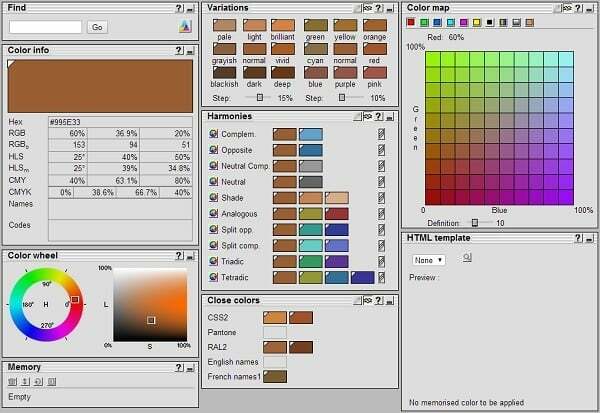 Here we have gathered the top free generators that allow mixing colors and shades online, creating palettes for web projects and get inspiration from others. These generators in general are based on traditional color wheel scheme that allows choosing color combinations according to color theory of analogous, complementary and other color harmony variations. 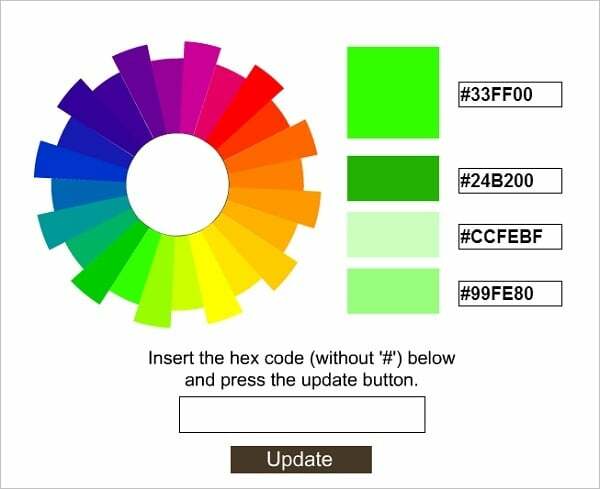 A perfect tool that allows you to choose any color on a color wheel and create your own monochromatic, triadic or tetradic color scheme. You may also “fine tune” it by changing the hue, saturation, brightness etc. plenty of functions and user-friendly interface. 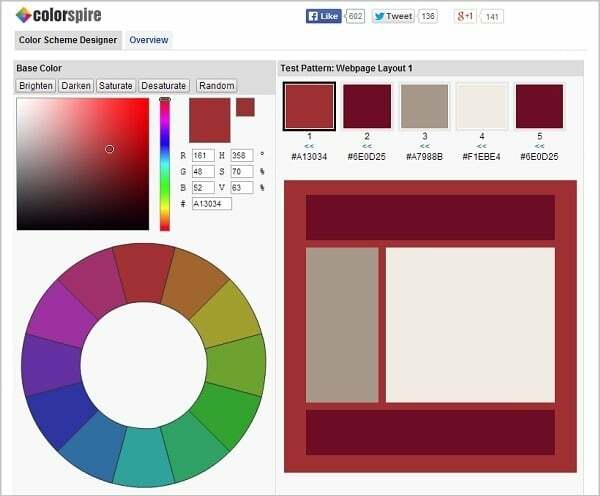 This generator from ColourLovers also makes use of the color theory basics. 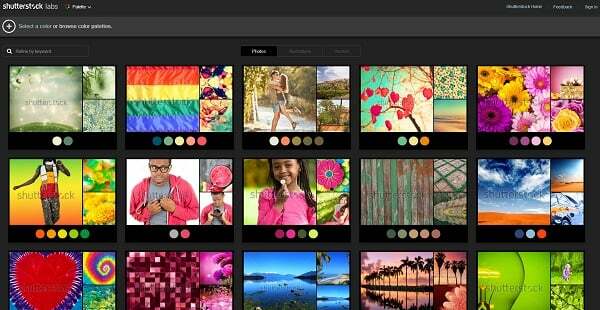 You may add colors one by one to the palette according to your needs or upload a pic and get your palette from it. Another easy-to-use color generator that allows creating color schemes based on traditional harmonies or customizing your own palette. If you have and Adobe ID you may sign in and download you creations. 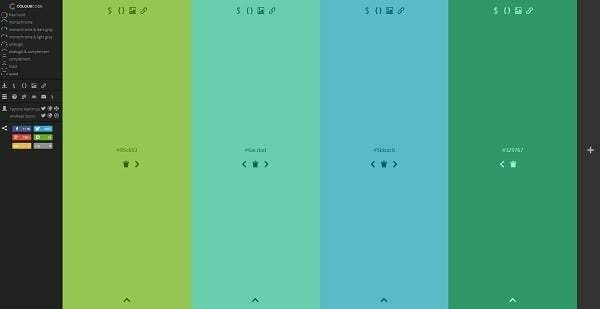 The interactive generator that is set up on three basic color characteristics – Hue, Chroma and Lightness. By changing each of these characteristics you may choose the colors for your color scheme. 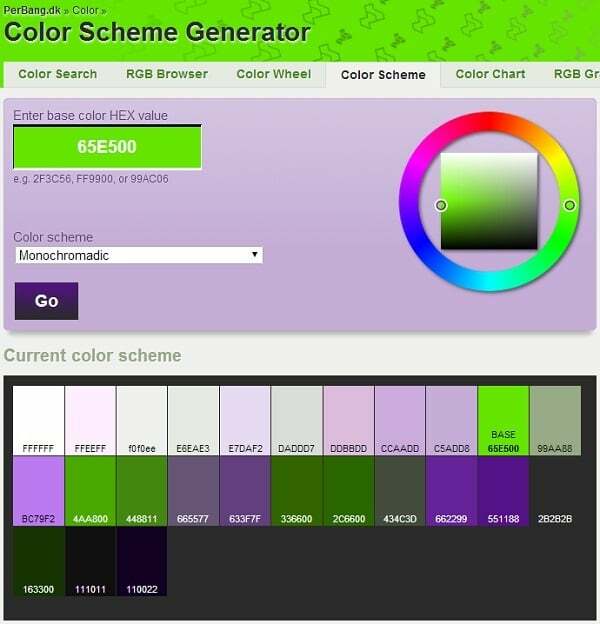 The generator features HEX and RGB color codes for each tone. Here you can create your color scheme by simply dragging the scroll box of three basic RGB colors. The color wheel below shows the complementary, split complementary, analogous and triadic color combinations for the chosen tone. This tool has a similar interface to the previous one. You may choose the color combination variant by clicking the arrows below the main color. Nice interactive color scheme generator that has all necessary functions and allows downloading created color scheme as PNG image, as CSS code, and getting permalink to the color. 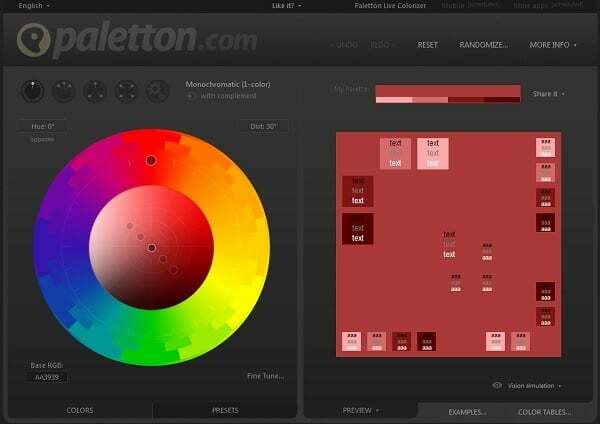 ColorMunki generator offers you to choose from Pantone colors and create your own palette. After the registration you will be free to download your creations and use other functionality. 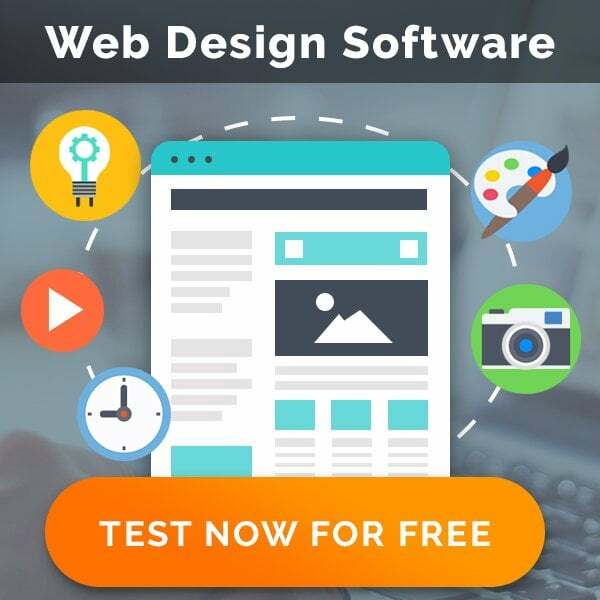 This tool is a great choice for web designers. 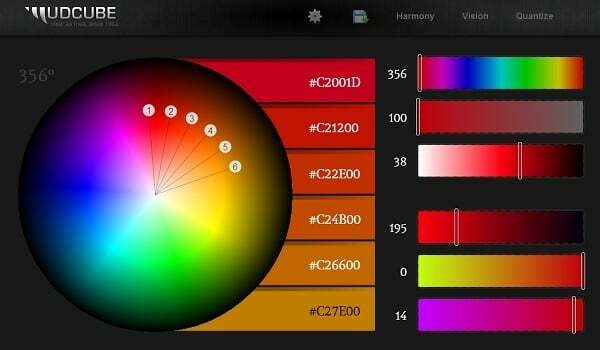 It allows to see how the color combinations work together in web layout and change the settings for each color. Is a nice 3D tool that allows mixing colors and creating palettes according to the characteristics the human brain perceives colors. 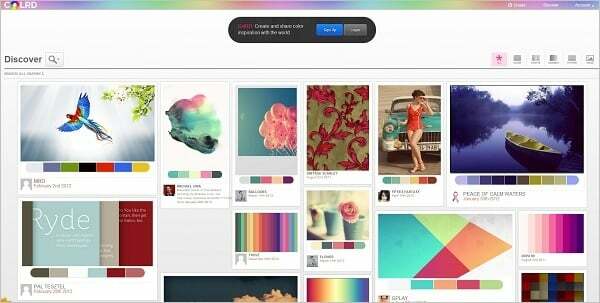 It’s easy to explore the color schemes, create new and share with others. 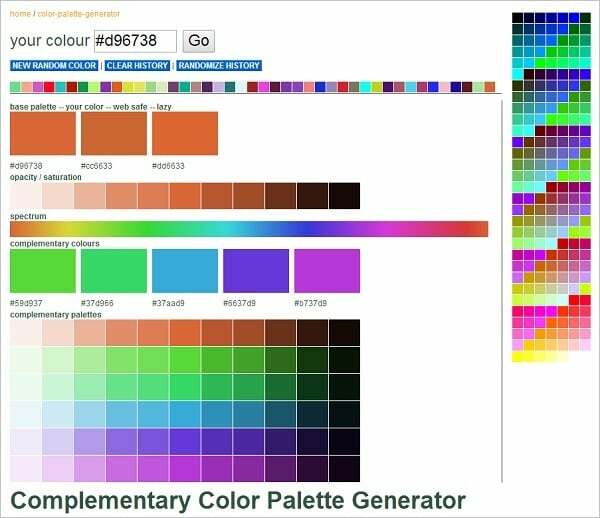 This Color Theory Visualizer allows generating color combinations according to the HSL or RGB scheme. 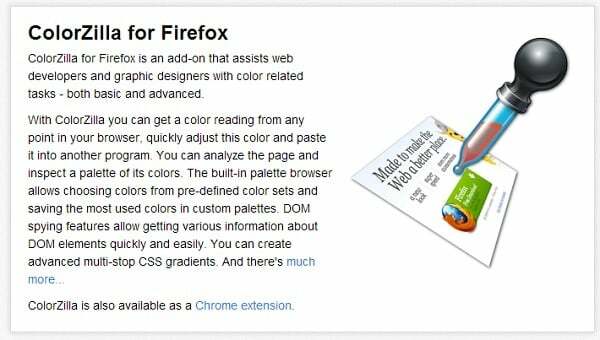 It’s a real encyclopedia that allows entering the color name or code and get all the information about its value, titles in different color systems; brows its combinations and see the examples how it looks for text, background or border. A great database for colors and their combinations. 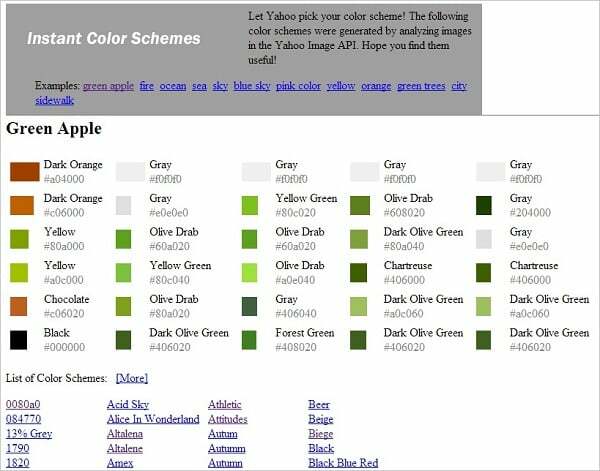 Allows choosing the lighter or darker variants of the base color as well as its deeper or darker hues. 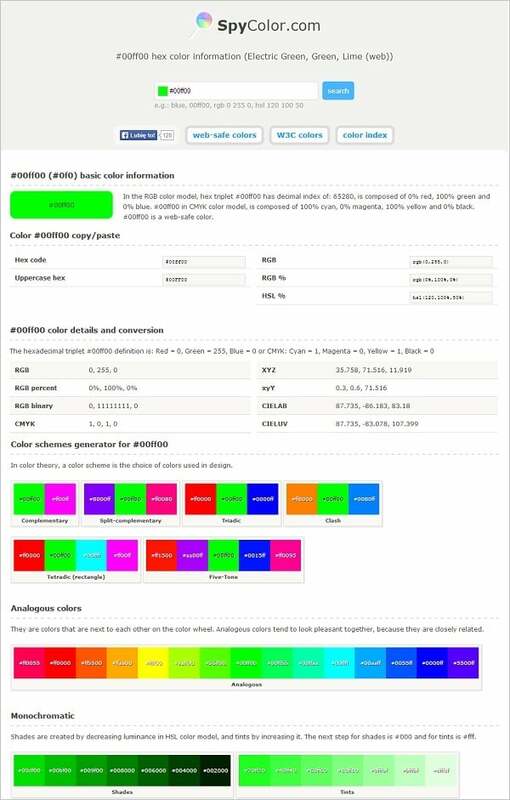 This simple tool allows entering an RGB or HEX color value and get a lighter or darker color scheme. Another simple generator that will be easy to use even for a novice designer. You simply choose one color and a color scheme characteristics, and click “Go”. 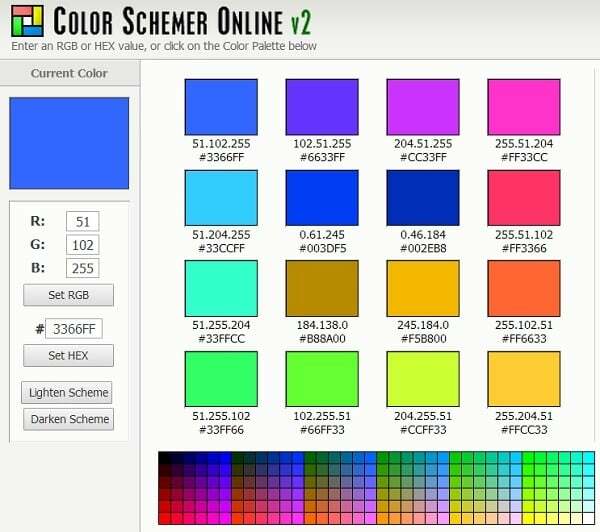 This tool is not a traditional color schemer. 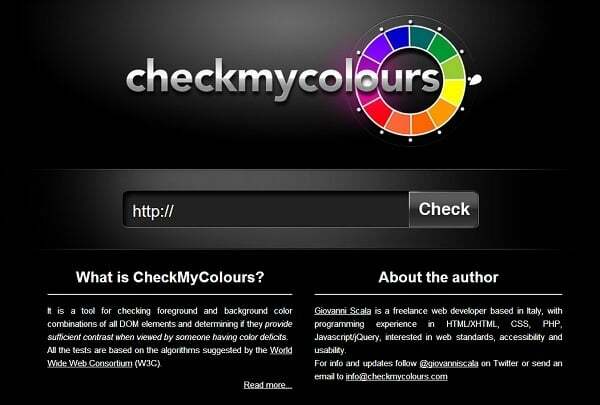 It allows you to check your website design for errors and failures on used colors. Such generators mostly show one color flexibility and depict its multiple tones and shades. 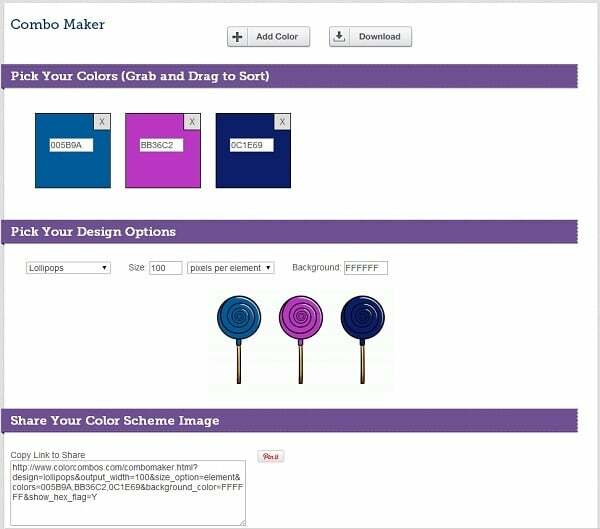 Combo Maker allows creating color combinations and showing them with the use of the simple stuff as balloons, pencils or cupcakes. 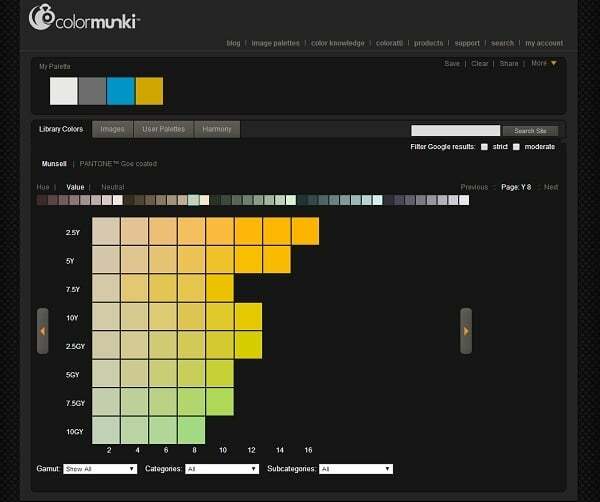 This nice tool helps exploring one color in all its depth. It shows its shades and tones, depicts the similar colors and shows how it mixes with any other tone you choose. This tool creates a palette of the 10 shades of one color basing on lighter and darker degrees of opacity. 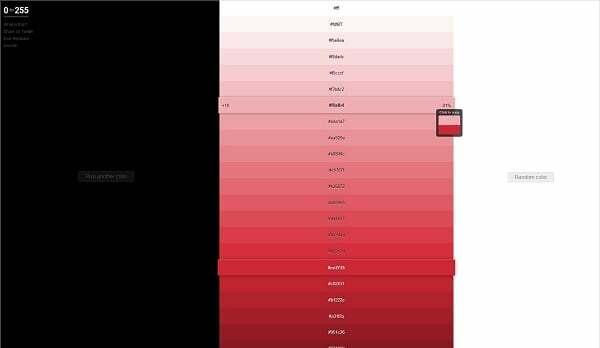 This tool combines two chosen colors and shows their contrast ratio. 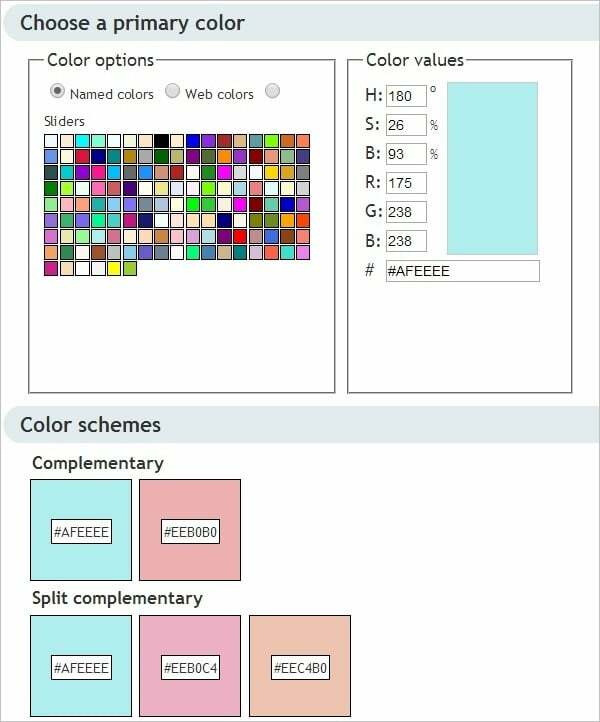 It allows users creating custom color palettes and examine them according to the Web Content Accessibility Guidelines. 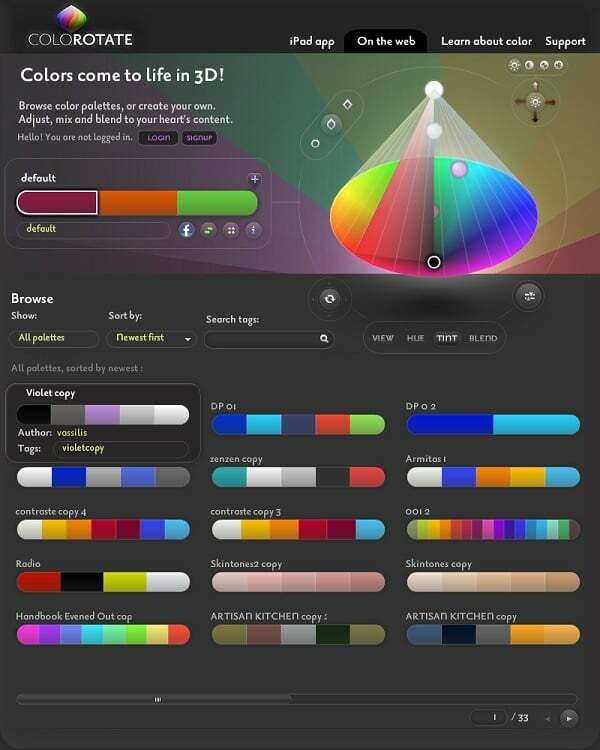 It helps evaluate if those colors are safe to use for web designs. 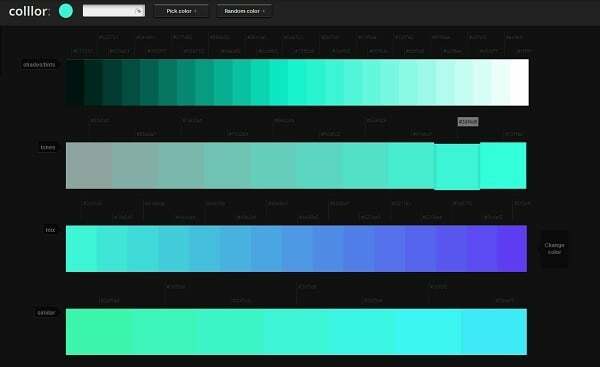 This nice tool allows even novice designers creating color palette with a few clicks. 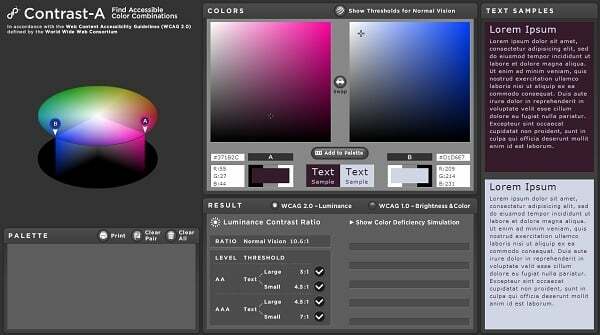 You can adjust the RGB palette, choose appropriate HSL amount and get your color palette of six colors. 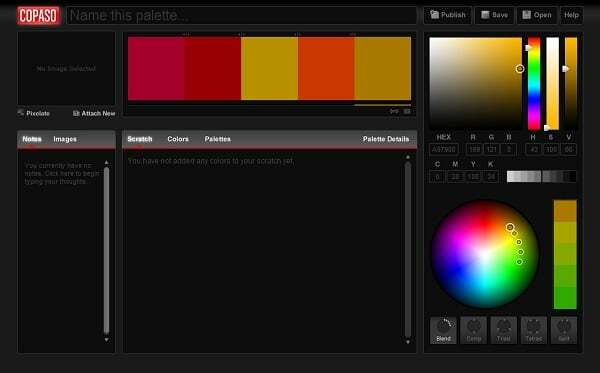 It also allows you choosing one of the created palette colors as basic and get a new palette. This generator works seemingly to the previous one. You just lick the color and get a color palette of five tones with a code for each one. 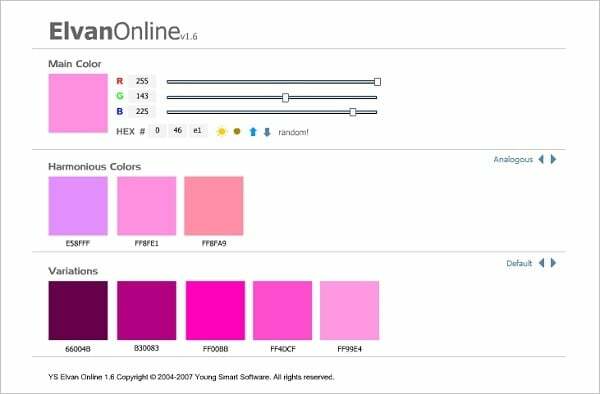 Nice-looking online tool that allows web designers to get multiple hues of one color in a few clicks. Perfect for creating various effects for the buttons, borders, images etc. Attractive tool that visualises your color picking process: move the mouse up and down to choose lightness, and left to right to get the hue. 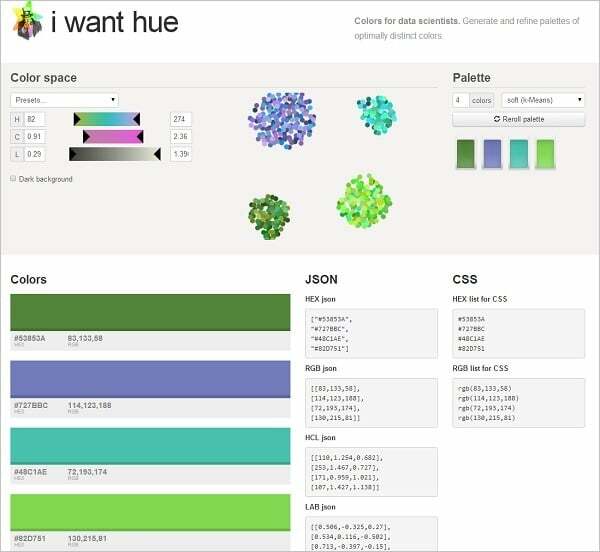 You can create palette, customize any hue, get code for one and share the results. So simple, it even may seem primitive. 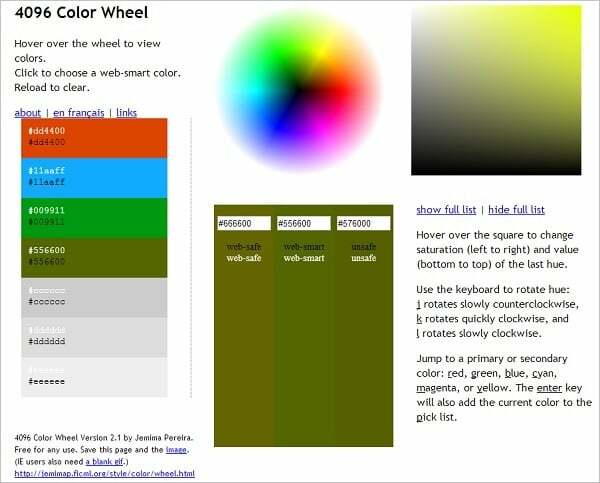 You just choose a color from a rotating color wheel and it shows you three more hues for it. Grab the codes and go! 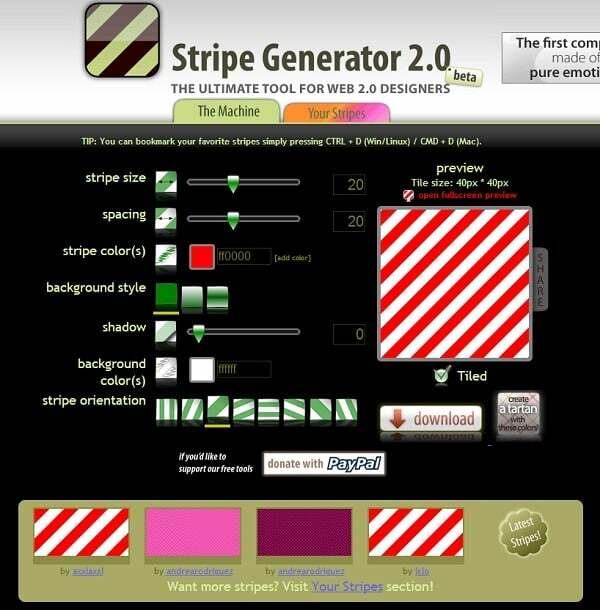 Stripe Generator creates… stripes. No big surprize though. 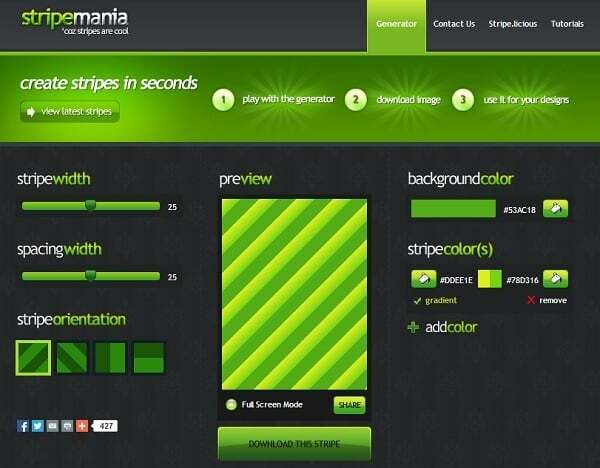 You may choose color, saturation, pick the stripes orientation, size and style. If it’s not enough for you – go to Tartan Maker and create your own tartan from these stripes. Another stripe maker with pretty the same functionality. Make your striped pattern and use it for your designs. Simple tool like others above. Choose a color and get three versions of it (base palette, web safe and lazy)? complementary colors palette, and the color spectrum. 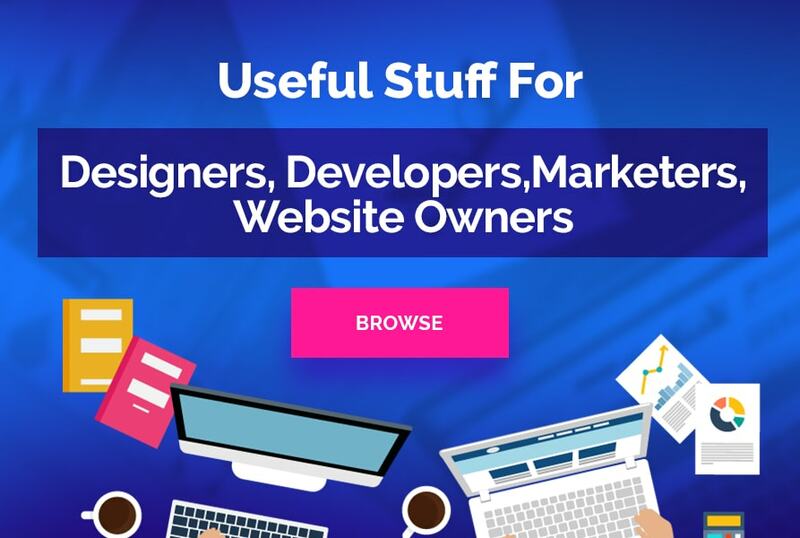 Extremely easy-to-use tool for web designers. 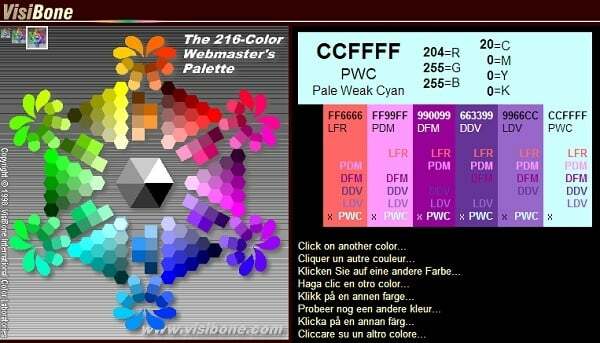 You just have to choose among the 216-color web palette to get your own with codes and RGB/CMYK characteristics. Extremely easy-to-use color generator. 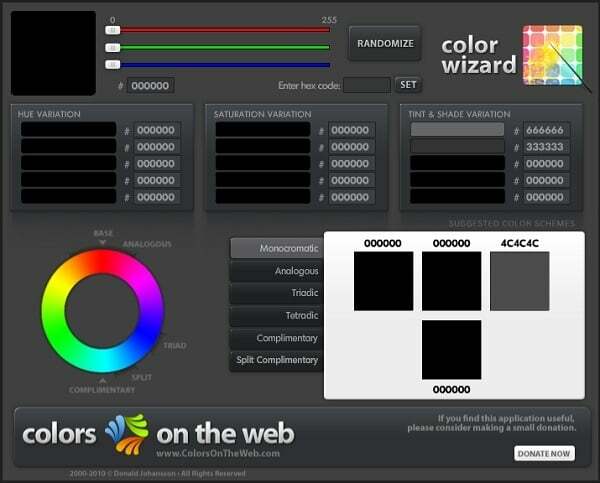 You can use a named color palette, a web color palette or use sliders to choose your color and get all combinations. 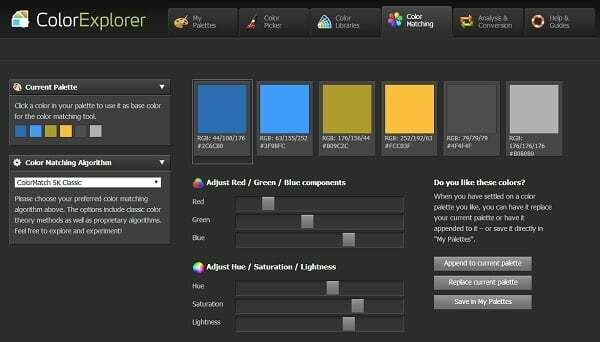 Nice and simple color generator, that has functionality similar to the previous one. Hover effect adds personality to the tool. This is the most funny and inspirational category of color tools that allows getting color palettes from images. Nice and fast generator that creates color palettes of the images from the Internet. Simply paste the URL of the image and get two versions (dull and vibrant) of its color palette. 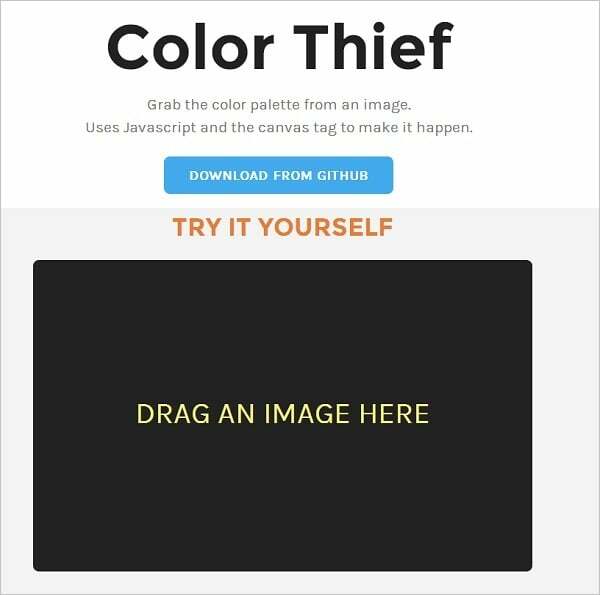 This tool allows using images from the Internet or uploading them from your computer. Here you may also choose lighter and darker versions. 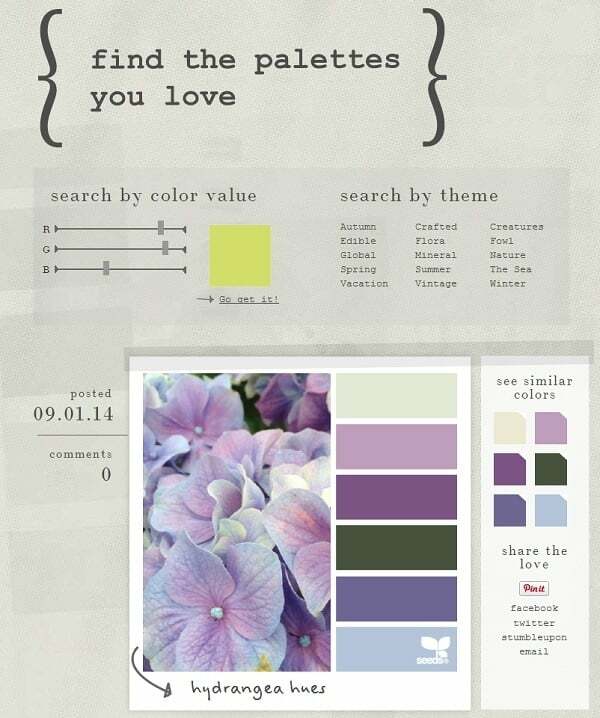 It’s a great source for creating color palettes from the images and share the inspiration with people. 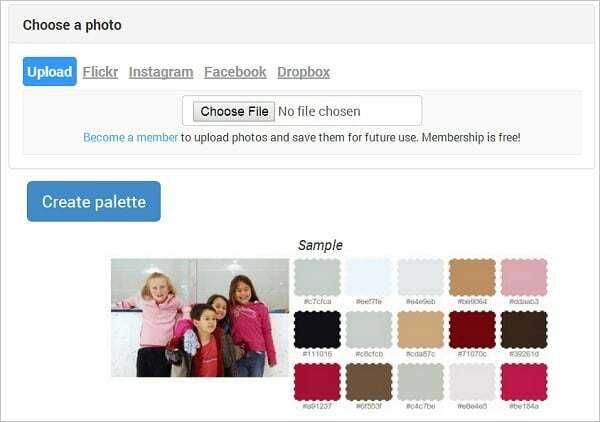 You need to register to upload and create your palettes. 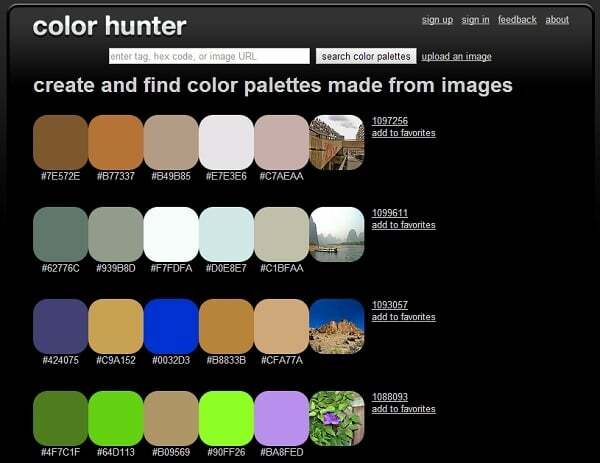 Or you can simply browse the website and search the palettes according to your color preferences. 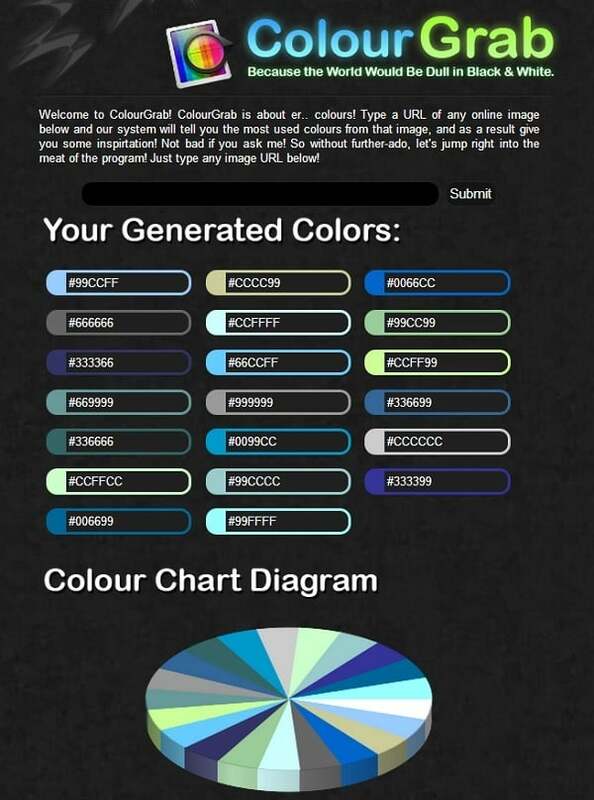 This generator allows uploading your images and getting their color palettes. You can also connect the generator with your Facebook or Flikr account to use images from them. You can download the results as CSS stylesheet or Photoshop swatches file. This tool is similar to the previous one. You can use the image from the Internet or upload yours. It creates three types of color palette (light, medium and dark) and allows downloading it as CSS stylesheet and Photoshop swatches file. 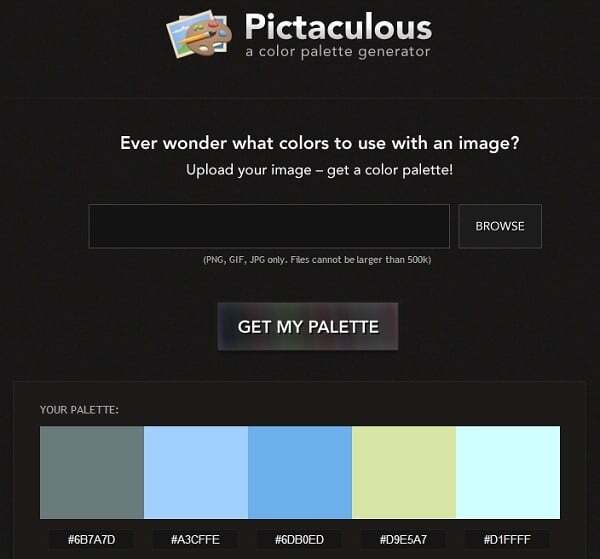 Pictaculous creates palette from the images from your computer. It also offers similar color palette suggestions from Kuler and ColourLovers. 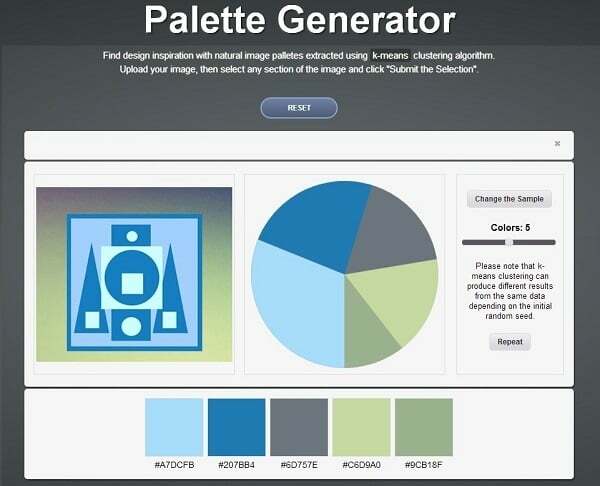 PaletteGenerator offers selecting an area of the uploaded image to get your color palette. You will have a color-palette wheel with a set of colors (drag the scroll box to choose the quantity from 2 to 8 colors). 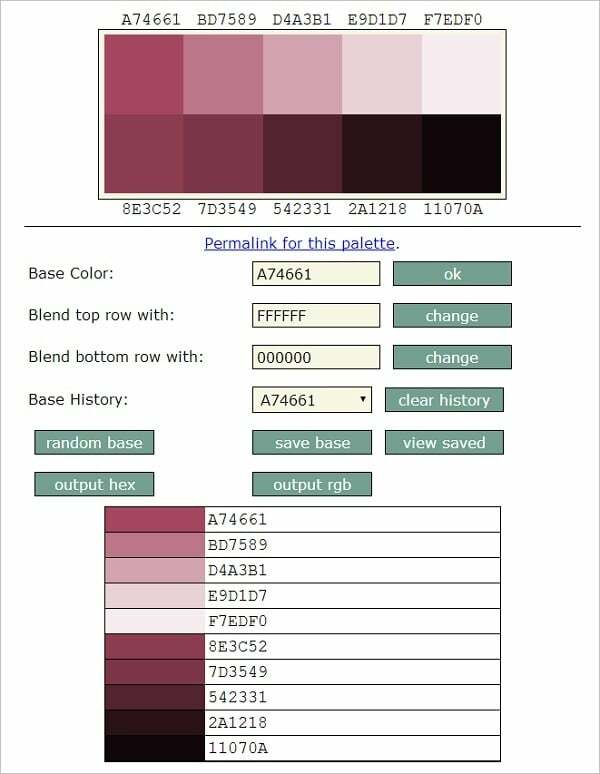 This tool “grabs” all colors from the image and offers you a list of their codes or a color chart diagram. Adobe switch file for the scheme is also available for download. Colorzilla for Firefox is a nice application that allows you instantly analyse any webpage. This app is also available for Chrome. This funny and creative online tool is extremely attractive and easy to use. You can just drag and drop your image to the generator and it shows your color palette as well as highlights the dominant color. 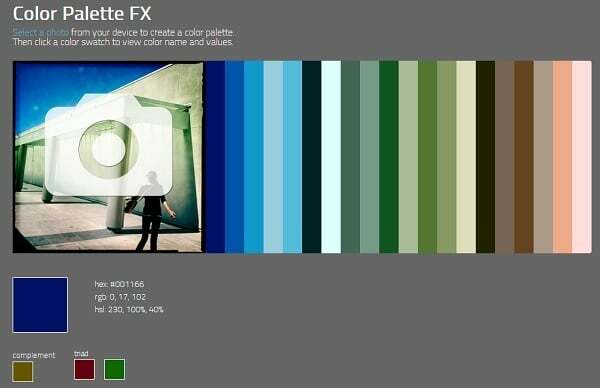 Nice online tool that creates color palette of images from your device. When the palette is ready – just click the color to learn about it. Need more? Here’s a few color palette collections that may boost your inspiration. Beautiful website that keeps tons of beautiful color palettes created from images for your inspiration. You can simply browse the site or search colors using tags and RGB scroll box. Cool website that allows you choosing up to 5 colors to get images that contain them. Selection of images changes with each pick. 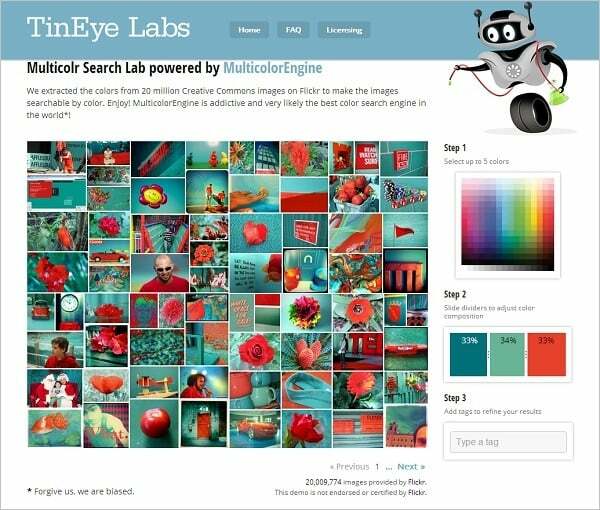 Shutterstock Labs offers similar idea to the TinEye Labs. 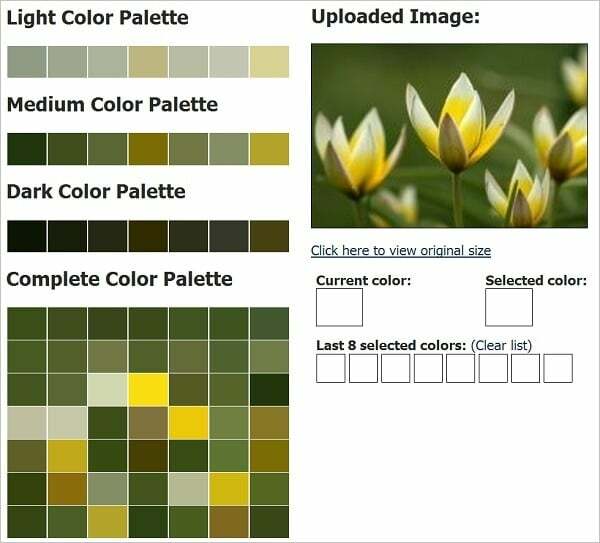 Browse color palettes of the images on Shutterstock or choose a keyword to find what you need. You can also visit Shutterstock Spectrum to find your color inspiration. 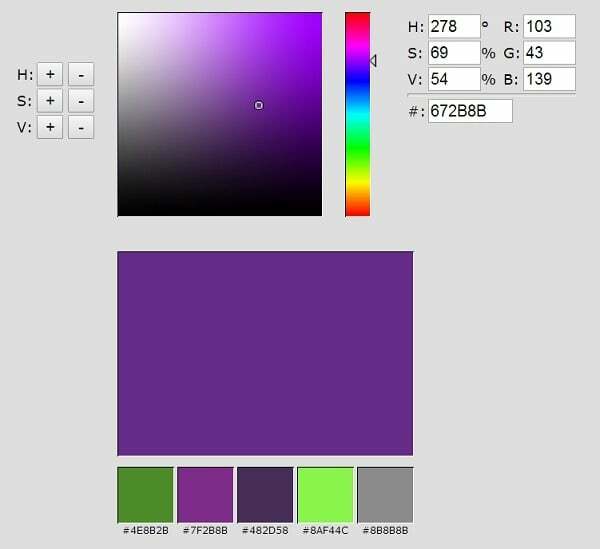 This source shows color schemes already picked from the images on Yahoo! Image API.